The US dollar rebounded strongly on Monday. The greenback recovered from last week’s falls after the Fed’s decision to hold firm on interest rates. The dollar was up against all major counterparts including the euro, the yen and the British pound. The greenback also made moderate gains on the commodities group despite oil and metals being on the rise. The benchmark dollar index was trading up 0.5 percent on Friday’s close. Economic news was light on the day but traders continued to speculate on when the Federal Reserve will finally raise interest rates. Last week’s meeting was seen by many as one of the most finely balanced in several years. Comments from the members of the committee also highlighted that the decision was a very close call. While the strength of the US jobs market was noted, this summer’s turmoil in Chinese equities markets and the fragility of some emerging economies appears to have been the deciding factor. 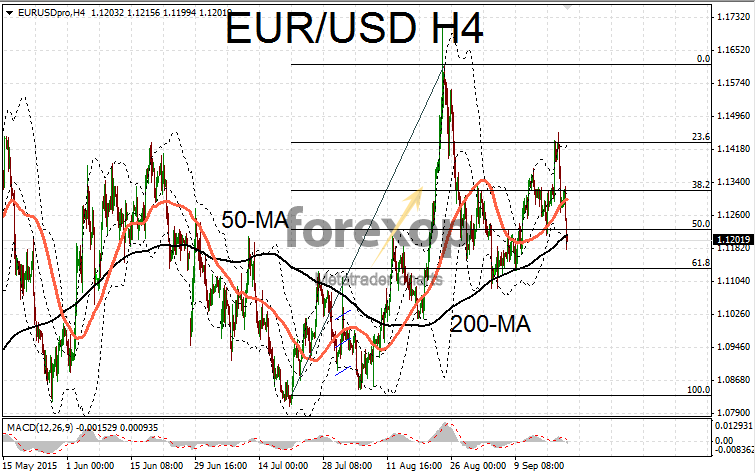 The euro suffered a weak session and this helped the US dollar in pushing EUR/USD to the downside. 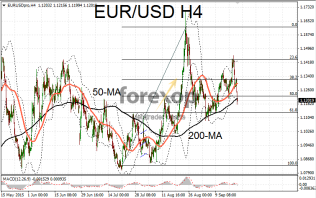 EUR/USD fell one percent where it found temporary support at the 1.12 level. Three days of falls have seen the pair slip from the lower end of the 1.14 range. For the euro some disappointing inflation figures from Germany helped set the tone for the day. Producer prices fell 0.5 percent in August adding to the ongoing declining trend. This now brings the annual rate to minus 1.7 percent according to figures published by Statistisches Bundesamt Deutschland. Unwinding of positions following the Fed’s meeting was also adding to downside pressure on the euro. USD/JPY rallied back from the lows below 120 seen last week. The pair climbed steadily back to the middle of the 120 range which has marked the central pivot of movement for the past few weeks. Traders continue to keep an eye on the risk outlook but overall the falling of risk-perception (measured by the VIX and Euro VIX) has worked in the favor of the US dollar.